revelation | No, YOU Tell It! A year ago, we expanded No, YOU Tell It! by offering workshops at QED: A Place to Show & Tell in Astoria. These workshops are open to writers of all levels looking to switch-up their story. As a result, we’ve been fortunate to work with so many amazing storytellers we never would have met otherwise. Many of whom have come back to take part in our live shows at Jimmy’s No. 43. 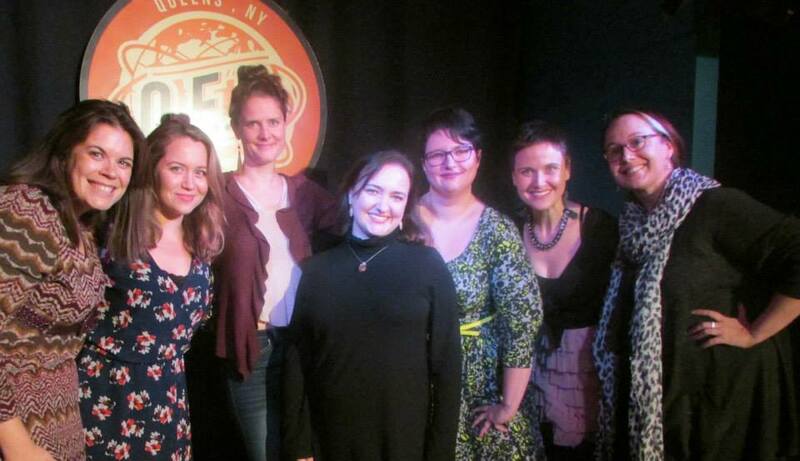 Give a listen to our very first workshop showcase “Revelation” performed live at QED on February 3rd, 2015 and hosted by Kelly Jean Fitzsimmons. Want to switch-up your story? Click here to register for our “Sink or Swim” workshop that starts this Saturday, 1/23. Participants in our winter workshop at Q.E.D. in Astoria have spent the last month working with us to develop their memoirs on the page. Join us this Tuesday, 2/3, at 7 p.m. as they take the Q.E.D. stage to swap stories inspired by the theme REVELATION. Click here for tickets.